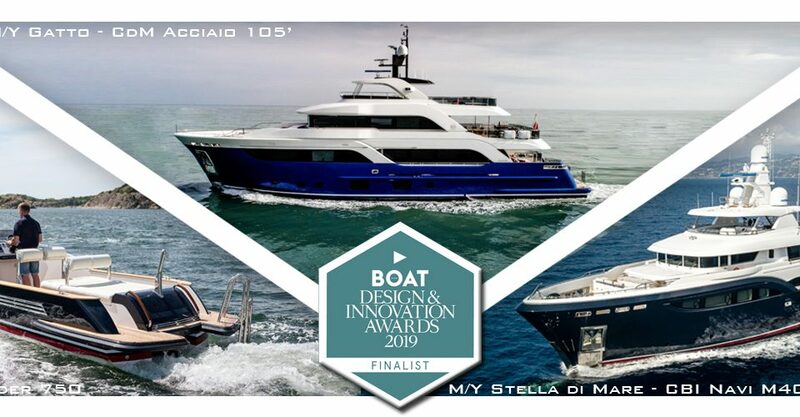 We are very pleased to announce that M/Y Narvalo is one of the finalists at the World Superyachts Awards in “Displacement motor yachts below 500GT 30m to 42.9m” category. Already winning in last year edition, with M/Y Divine , built by Columbus Yacht , that was crowned as best semidisplacement Yacht between 30 and 40.9 m for 2016. (See More), Hydrotec is always looking for new challeging projects. One of this was Narvalo ,whose Hydrotec was following all the Naval architecture and Engineering aspects. Built by Cantiere delle Marche with an Interior and exterior Design signed by Nauta Design, it seems from the beginning that the Client had a really clear idea of how his new Yacht has to look like , and which tecnicals requirements his Yacht has to follow. Coming from a planning Yacht experience, the Client wanted to switch into a displacement Yacht with a stylish design. With the Darwin class we already reached an unrivalled degree of efficiency but we wanted to push harder by using a new bulbous bow to get a further improvement of performances. The result of our investigation was surprising and permitted us to gain a 5% in efficiency, a great gain considering this size of hull. During the delivery sea trials Narvalo was exceeding the Contract speed by more than half knot. The hull of Narvalo became the base for further development and is still an unrivalled challenge for us and for the Yard, and this is for sure one more reason to be very proud of our job. Stay tuned and follow us at the World Superyacht Awards.